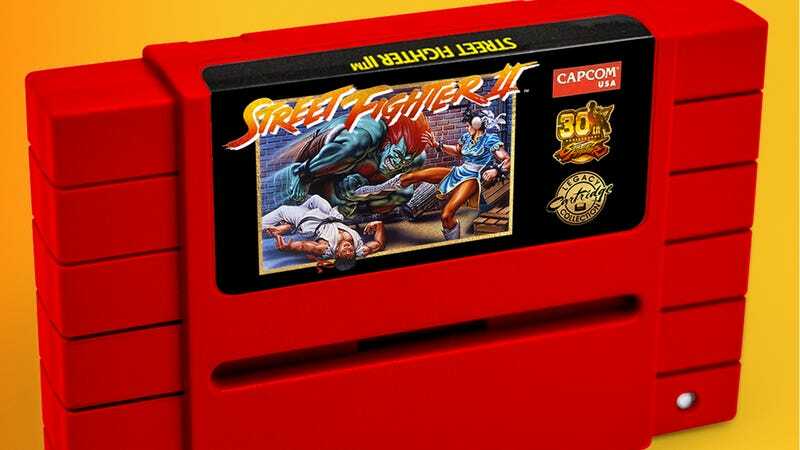 Super Nintendo nostalgia is reaching fever pitch, and now even Capcom is getting into the act with a re-release of Street Fighter II on a Super NES cartridge. Produced in conjunction with iam8bit, this $100 collector’s edition is available to order now and will ship in November. The $100 package will include a working SNES cartridge that plays Street Fighter II and will come in one of two colors: “Opaque Ryu Red” or “Translucent Glow-in-the-Dark Blanka Green.” It will be a limited edition of 5,500, and the glow-in-the-dark copies will number just 1,000 of those—and be randomly distributed. And the kicker? Iam8bit says this will be but its first release in a “Legacy Cartridge Collection,” so it’ll be making even more of these. My wallet. It’s crying.